Stevie’s Review: I like to do kayak expeditions when time allows. One good source for getting outdoor tips and advice are the various backpacker’s forum web sites. One very active one is at http://whiteblaze.net./. 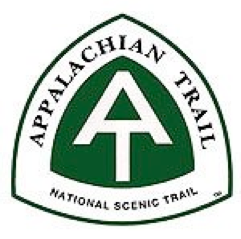 It has lots of posts with good and some bad advice regarding mostly The Appalachian Trail. Many posters were thru-hikers (hiked the full length of the Appalachian Trail, 2,000+ miles). It is a community where a lot of people know each other, had backpacked together and they communicated like they were very familiar with each other. Most had very strong opinions on what to bring and how to live on the trail. I liked this and learned a lot from this and other sites. One of the members had recently released book one of a two part series titled "Through Hiker's Eyes" and it was getting some hype so I ordered it directly from the Publisher. It arrived three days later autographed by the author. I thought it would be a good book to read during my 45-minute subway commute to and from work. I started reading it last Friday on my way to work and again on my way home. I almost missed my stop, both directions, something I don't normally do. When I got home Friday after work, I continued reading late into the night and again when I had time on Saturday, finally finishing it last night (Sunday). I blew most of my weekend and thoroughly enjoyed it. OK, so what was it about this book? Well it is a basically the first half of a trail journal from when the author hiked the full length of the Appalachian Trail, condensed into one book. The situations were all written in a fun and entertaining way. There were many characters sharing experiences and situations, one of the central characters being "Tummy" the authors stomach. Tummy controlled how far they would hike in a day and where they would stop, based on places to eat and the availability of soft drinks. It is comical, with some adventure mixed in. If you like this kind of stuff, you'll like this book. PS. You may ask why I don't consider hiking? I don't have many miles left on a bad hip. Maybe someday I'll get it replaced and then hit the Appalachian Trail myself. Thank you Stevie for this first Guest Book Review. If you would like to contribute (and I hope you will) please check the overview page for the review format, then send the review to me at the email address below.